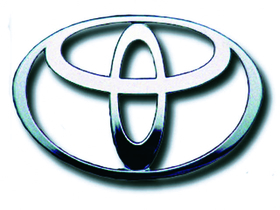 LOS ANGELES (Bloomberg) -- Toyota Motor Corp. said today it hasn't found any evidence its electronic throttle control caused unintended acceleration after engineers and technicians investigated more than 4,000 U.S. vehicles whose drivers made such complaints. “Toyota has not found a single case in which electronics would lead to sudden unintended acceleration,” Steve St. Angelo, Toyota's North American chief quality officer, said in a conference call. Toyota has reviewed 4,200 individual acceleration-related complaints so far, he said. The world's largest automaker now is working to improve its brand image and quality after global recalls of more than 8 million vehicles for defects linked to unintended acceleration. Some media reports and safety advocates have suggested Toyota's electronic throttle-control system plays a role in sudden acceleration -- an assertion Toyota has denied from the beginning of the crisis. Customer complaints of sudden-acceleration incidents have dropped 80 percent since April, Toyota said in a statement. The automaker said it has added so-called brake-override control to 84 percent of Toyota, Lexus and Scion vehicles now on sale in the U.S. and will be the first manufacturer to offer the safety technology across its lineup. The software is intended to ensure that should the accelerator become stuck, it will be shut off when the brake pedal is pressed. About 5 million recall-related repairs to fix sticky gas pedals and replace floor mats at risk of jamming the accelerator have been completed so far, Toyota said today. The company is working more closely with suppliers in North America to review parts designs and manufacturing processes and to test components more thoroughly, St. Angelo said. Toyota is cooperating with federal probes that continue to look into potential electronics flaws and how the company handled past recalls, and doesn't know when they'll conclude, St. Angelo said. • Completing more than five million remedies on vehicles involved in three key recalls thanks to the extraordinary efforts of Toyota and Lexus dealers and the exceptional response from our customers. These measures and accomplishments were unveiled by Toyota's Chief Quality Officer for North America, Steve St. Angelo, at a news briefing with former U.S. Secretary of Transportation Rodney Slater, Chairman of Toyota's independent North American Quality Advisory Panel, which is working closely with the company to help ensure that its quality and safety assurance programs are in keeping with best industry practice. Expansion of SMART Process: Based on the success of Toyota's SMART evaluation process, and with the sharp decline in customer concerns about acceleration, Toyota is broadening the scope of the SMART process and teams to include investigation of other customer concerns as they arise. This utilization of the SMART portfolio is intended to further strengthen the company's field information gathering and evaluation capabilities as well as its ability to respond quickly to the needs of its customers. Toyota's SMART evaluation process was launched in April 2010 to enhance the company's ability to quickly investigate customer acceleration concerns in Toyota and Lexus vehicles. The rapid-response Swift Market Analysis Response Teams, which are drawn from more than 200 highly trained engineers and field technicians, seek to contact customers within 24 hours of a report and, as necessary, arrange for a comprehensive on-site vehicle evaluation. Since its launch, the SMART process has evaluated approximately 4,200 vehicles, giving Toyota a better understanding of what customers are actually experiencing. Importantly, Toyota has not found a single case in which the vehicle's electronic throttle control system would lead to unintended acceleration. Production of Vehicles with Smart Stop Technology and Enhanced Event Data Recorders: This year, all new Toyota vehicles for sale in North America are being equipped with Smart Stop Technology, a brake override system that provides customers with an additional level of confidence by automatically reducing engine power when a vehicle's brake and accelerator pedals are applied simultaneously under certain driving conditions. Ramping Up North American Center For Quality Excellence: On July 29, Toyota opened its North American Center for Quality Excellence in Ann Arbor, Michigan which offers Toyota's North American employees and select suppliers training to reinforce the "Toyota Way" and the company's Customer-First commitment to quality. The Center's mission is to provide quality and design-based training to improve the capabilities of Toyota employees so that they are empowered to work from a Customer-First perspective. Toyota team members will learn from a curriculum of safety, design and quality control training to reinforce work methods and develop new work standards through benchmarking and “continuous improvement” (kaizen) processes. The company is increasing the frequency of reliability testing of key parts, including, for example, more frequent evaluation of parts to confirm functionality and identify any damage sustained during shipment. Toyota is also working more closely with suppliers at the beginning of the development and design process so that Toyota's expectations and quality criteria for key parts are clearly communicated. In order to benefit from the knowledge and experience of its suppliers, Toyota is revising its Supplier Quality Assurance Manual to capture supplier best practices, benchmarks of global competitors, and other feedback from Toyota's supplier review. Toyota's North American Center for Quality Excellence will also expand its curriculum in the near future to include training for suppliers in Toyota Quality and Design activities, best practice sharing and new quality assurance requirements.